Cain Is to Ginger White as Romney Is to... Romney? 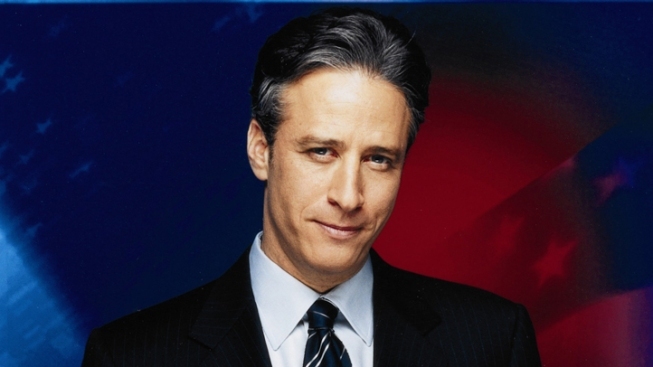 Jon Stewart wants to know: Is Mitt Romney having an affair with himself? Jay Leno largely laid off the GOP jokes Thursday night with Rick Perry as a guest on his show — but Jon Stewart laid into Mitt Romney on "The Daily Show." On "The Tonight Show," Leno gently ribbed Perry for the gaffes that have contributed to his waning presence in the polls. One of those gaffes had killed two bird with one stone when, speaking in New Hampshire, he misstated both the legal U.S. voting age and the date of Election Day. But maybe, Leno observed, it didn't matter. "Thanks to Herman Cain, you are in the clear," he told the Texas governor. Earlier in the night, Jon Stewart wondered why Mitt Romney hasn't been making the rounds of news shows like his Republican rivals. "Why no one-on-ones for Romney? Because he's running a classic political gambit called the Marilyn Munster strategy. It's a simple grift: Romney appears only in debates surrounded by Munsters — aka the other Republican candidates — and instantly the voters think, 'Hey, that pretty one seems normal.'" Until, that is, Romney was interviewed on Fox News on Monday night, inexplicably in what appeared to be a supermarket stockroom stacked with jars of jam. According to Stewart, though, Romney didn't exactly help to humanize himself with his Fox interview. When asked the last book he'd read, Romney said, "I'm reading sort of a fun one right now, so I'll skip that." Stewart cracked, "Good call on keeping the fun one that might humanize you under your hat!" "Mitt Romney is his own mistress!" Stewart continued. "And by the way — it makes sense, because they say opposites attract."